Did you know Colorado is the top ski destination in America? The state features 27 different ski resorts to choose from. These winter resorts are investing millions of dollars in upgrades for the 2016/17 season. According to an article by the Denver Business Journal, ski areas are investing in new restaurants, new snowmaking equipment and focusing on improving travel across the mountain for skiers and riders alike. Lovingly called A-basin by locals, this resort is celebrating its 70th anniversary and making major improvements to its base area. There will be upgrades to the aesthetics of the area, improved ramps and walkways, better outdoor seating and a $1 million expansion of the Arapahoe Sports store. Pioneer Crossing, a new 490-seat restaurant, is expected to open in December not far from the Independence SuperChair on Peak 7. The new eatery will offer salads to order and a Mediterranean station, among other features, and will highlight Breckenridge’s mining past. Copper is installing an electric car-charging station built in part with a grant from the state of Colorado. The resort’s new White River Luxury Rentals program will help guests book rentals in high-end units around the area, including the Lewis Ranch community. Additionally, it will offer two new bar and restaurant concepts — Eagle BBQ in the Copper Junction building and Craft Beverages in the Rockies Whiskey Bar located in the Center Village. The host resort for the 2017 Audi FIS Ski World Cup Finals is upgrading its eating and drinking areas. Its adding a mid-mountain cabin on Snowmass – named the Lynn Britt Cabin, it will host DJs and aprés-ski parties. It is expanding and remodeling its Gwyn’s High Alpine Restaurant (also mid-mountain on Snowmass) adding a bar and switching from cafeteria-style food service to a market concept. The Pines Lodge, A RockResort, will renovate its 60 rooms, modernizing the European-style hotel. That follows recent renovations to the property’s lobby, meeting space and on-mountain restaurant, Grouse Mountain Grill. The Lake County resort, known formerly as Ski Cooper, has a new name. It also will have a new mountaintop yurt lodge complete with food, drinks and a large deck to take in the views. It’s additionally purchased a PistenBully 400 machine to improve snow grooming. Skiers eager to seek the bumps and rough terrain can tune their equipment on a new $250,000 Montana Crystal Glide Finish automated tuning machine. And if that doesn’t satisfy their ski-prep needs, the resort also is adding a Coal Breaker Coffee shop in the base area. The Boulder County resort — recently bought by Utah’s Powdr Corp. — is adding new runs on Indian Peaks. It’s also offering “Woodward Eldora”, designed to get younger riders interested in free-style skiing and is upgrading the Timbers Lodge and Indian Peaks Lodge. Also, the resort is upgrading its Internet system to provide faster Wi-Fi to guests. The Salida-area ski resort is adding three designated uphill trekking routes from the base area to the top of the Continental Divide. Provided you have a resort pass, this will be a fee zone for pass holders. Monarch has additionally installed a point-of-sale system that allows visitors to re-load ticket products online, skipping the ticket windows if they desire. Durango’s local resort is expanding the Columbine beginner area, relocating the Snow Coaster Tubing Hill and installing a new T-3 surface lift that will transport skiers to the back-side of the mountain. The resort is also upgrading its snow-making system, adding more snow guns allowing more efficient snow-making. On the retail side, Purgatory has bought the former Hassle Free Sports building in Durango and created a new resort storefront for equipment sales, rental and repair. 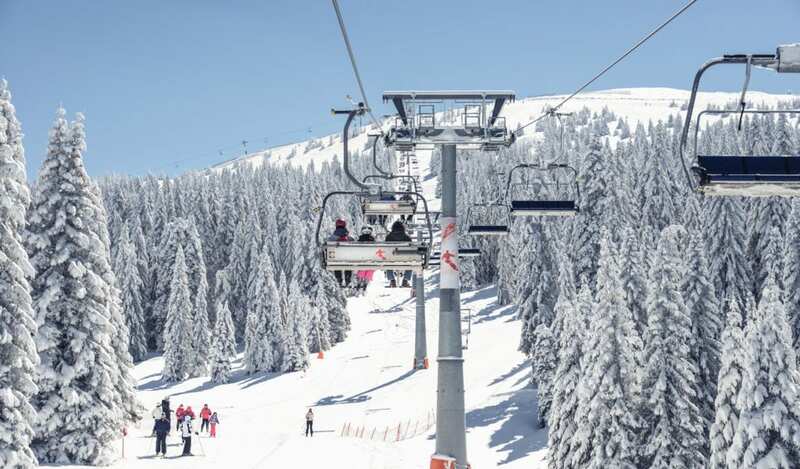 It will also serve as the headquarters for the resorts owned by James Coleman, which include locations in New Mexico and Arizona in addition to Purgatory and his newly acquired Hesperus Ski Area near Durango. This expert-level resort is celebrating its 15th anniversary – adding a custom ski basket for helicopter skiing that will allow the choppers to take skiers higher and more often to heli ski terrain each day. It will also offer new ski demo/rental equipment this year that will be available to the visitors that book guided skiing. The snow-making capability of this family resort will increase by more than 100 acres after officials added one new groomer and five new snow guns. And The Grill will feature a new menu and new TVs. Glenwood Springs’ closest resort, which turns 50 this season, has given itself a present of upgraded rental equipment, including skis, snowboards, boots and tuning equipment. That will include specialized “learn-to-ride” boards for new snowboarders. Guests will get to the Sunshine and Priest Creek areas of the resort in roughly half the time as previous seasons, as Steamboat officials replaced the Elkhead quad chairlift with a Dopplemayr high-speed detachable quad. It also is working to install a year-round mountain coaster. Steamboat has upgraded its pumphouse, which will increase snow-making capacity. And it has a new Leitwolf snowcat groomer. Resort officials also are teaming with equipment company Marmot to open an 1,800-square-foot retail store downtown that will focus on outerwear, apparel and accessories. Front-rangers will be able to reach the Western Slope resort more easily, as Allegiant Airlines will offer twice-weekly flights between Denver International Airport and Montrose Regional Airport. When they arrive, they’ll find the addition of a number of family-friendly events after lifts stop running each day including a kids’ zone, movie nights and live music in the mountain village. A new restaurant, Altezza at the Peaks, will offer Italian food and scenic views. The ninth new chairlift in the past 10 years will debut this season, as the four-passenger, high-speed Sun Up Express will replace the Sun Up Lift, increasing lift capacity 65 percent and cutting average travel time from 8.2 minutes to 3.9 minutes. It will be a primary lift in the back bowls. Passengers will have another option for getting to the Grand County resort, as the Winter Park Express train re-launches on Jan. 7th from Denver Union Station. It will operate every weekend day and holidays through March 26th. Once there, skiers may find softer snow, as the resort has added four new snowcats that will be able to groom almost 1,000 acres including more of its steeper terrain. The high-mountain resort near Pagosa Springs is installing a new conveyer lift linking the base to the teaching area on the back side of the ski-rental building; an addition that officials hope will ease congestion at the base area. The lift also will provide easier access to the Alberta and Tranquility parking lots. As the resort marks its 40th anniversary, it also has repaved part of its Tranquility parking lot, increased its selection of ski and snowboard rentals, and added an online reservation system for rentals and lessons. With all these new upgrades, we expect to have a busy winter season here in the Rockies. Contact one of our talented real estate professionals at Real Estate of the Summit to talk about how you can make the most of your mountain property investment today!